This guide will show you how to determine what Windows version you’re running on your laptop or desktop PC. Go to Start, type about your PC, and select About your PC. Look at the top of the screen. If you see the Windows 10 logo, then you’re using Windows 10. You can also look at the Edition to find out which version of Windows you’re using. App setup (EASY): Find out how to install and set up the ExpressVPN app for Windows 10. 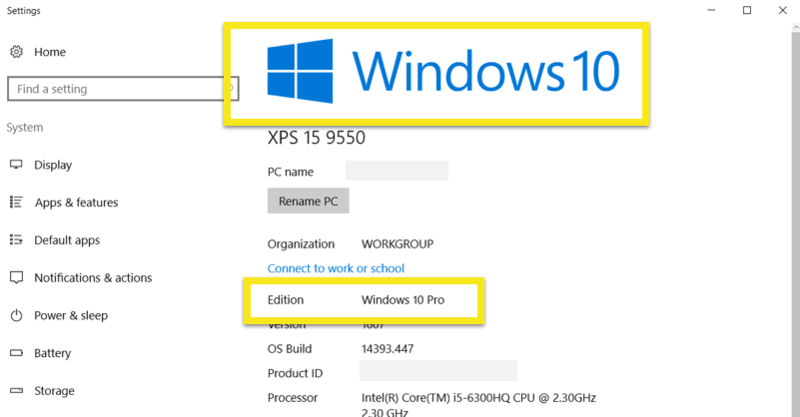 Manual configuration (ADVANCED): Find out how to manually configure ExpressVPN on Windows 10. Does your Start screen look like this? 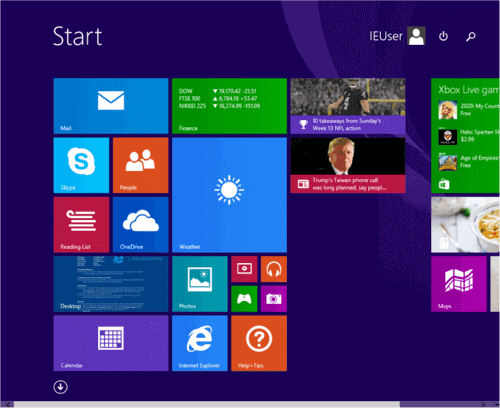 If your Start screen looks like this, then you are using Windows 8 or Windows 8.1. App setup (EASY): Find out how to install and set up the ExpressVPN app for Windows 8. Manual configuration (ADVANCED): Find out how to manually configure ExpressVPN on Windows 8. OpenVPN manual configuration (ADVANCED): Find out how to manually configure ExpressVPN OpenVPN on Windows 8. Go to Start. 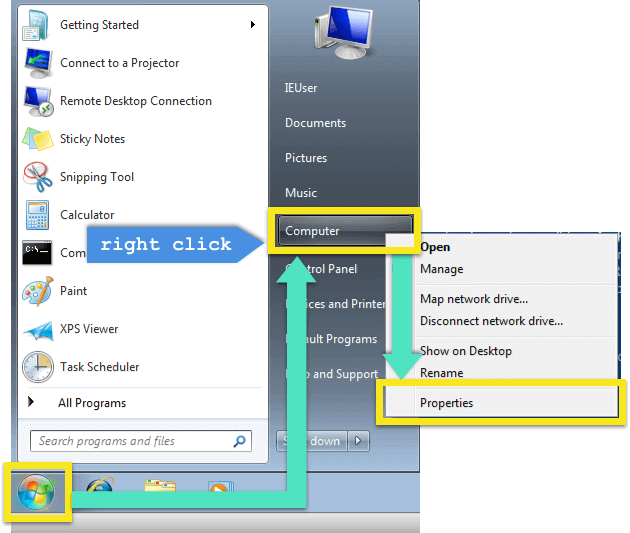 Right-click Computer in the Start Menu, then click Properties. Look under Windows edition to find out if you are using Windows 7. App setup (EASY): Find out how to install and set up the ExpressVPN app for Windows 7. Manual configuration (ADVANCED): Find out how to manually configure ExpressVPN on Windows 7. OpenVPN manual configuration (ADVANCED): Find out how to manually configure ExpressVPN OpenVPN on Windows 7. Click on Start, then click on Computer. 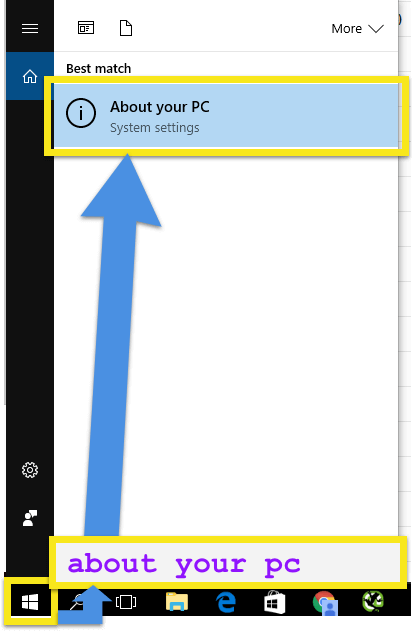 From the menu bar at the top of the window, select System properties. Under Windows edition, you will see your version of Windows. App setup (EASY): Find out how to install and set up the ExpressVPN app for Windows Vista. Manual configuration (ADVANCED): Find out how to manually configure ExpressVPN on Windows Vista. OpenVPN manual configuration (ADVANCED): Find out how to manually configure ExpressVPN OpenVPN on Windows Vista. In the System Properties window, select the General tab. Under Computer, you will see your version of Windows. App setup (EASY): Find out how to install and set up the ExpressVPN app for Windows XP. Manual configuration (ADVANCED): Find out how to manually configure ExpressVPN on Windows XP. OpenVPN manual configuration (ADVANCED): Find out how to manually configure ExpressVPN OpenVPN on Windows XP.